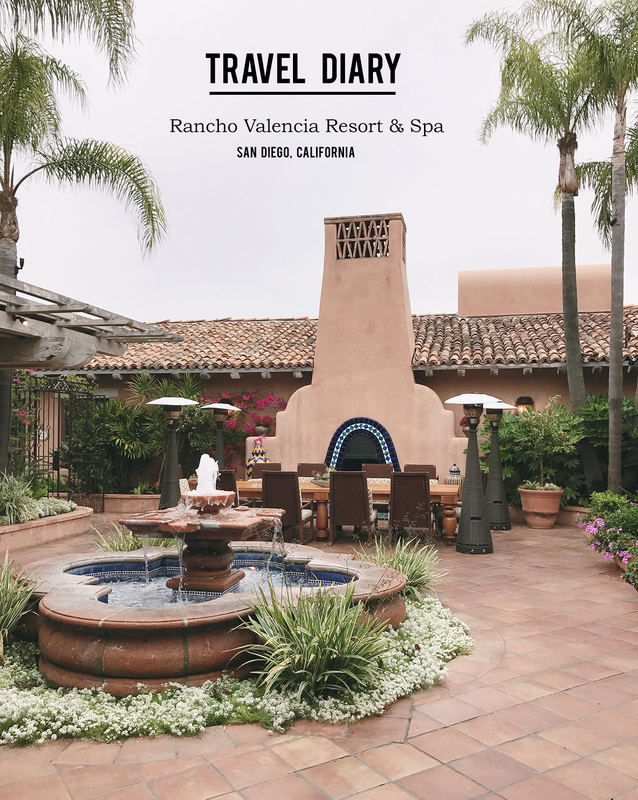 A few weeks ago, Jason and I (along with her 2 daughters) drove south for a relaxing weekend at the lovely Rancho Valencia in Rancho Santa Fe, California (about 20 minutes north of San Diego). You might recognize the resort name as we’ve featured a few weddings at this gorgeous location (see weddings here and here), but it also makes a great spot for a relaxing getaway – and I think it would make a great spot for a bachelorette weekend! 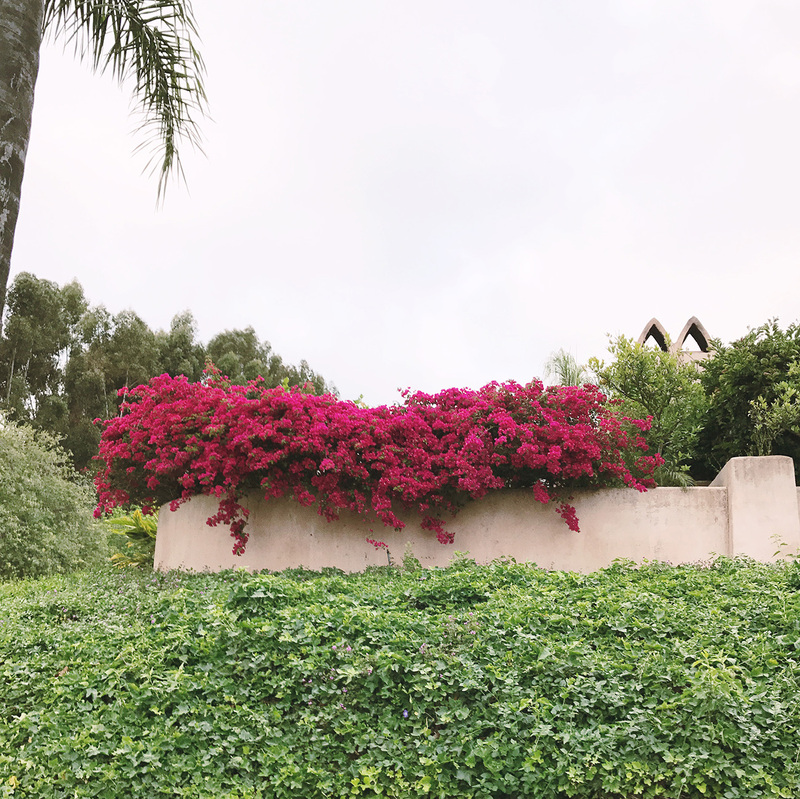 Bougainvillea all around the resort which I just LOVED!! 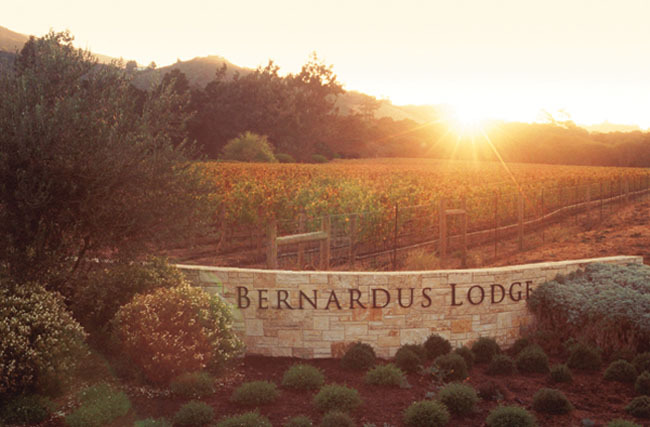 Ok, so the number one reason I think this would make a perfect Girls Getaway weekend? The amazing Spa! 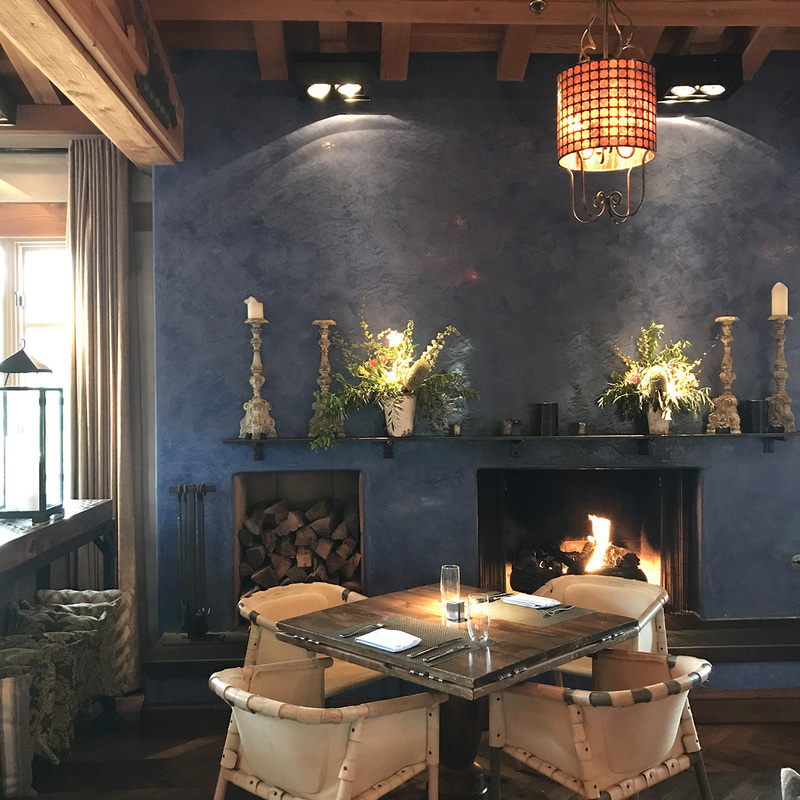 The spa is pure zen and offers lots of great options for massages and facials – I enjoyed a super relaxing (and much needed with a 12 month old baby!) massage. 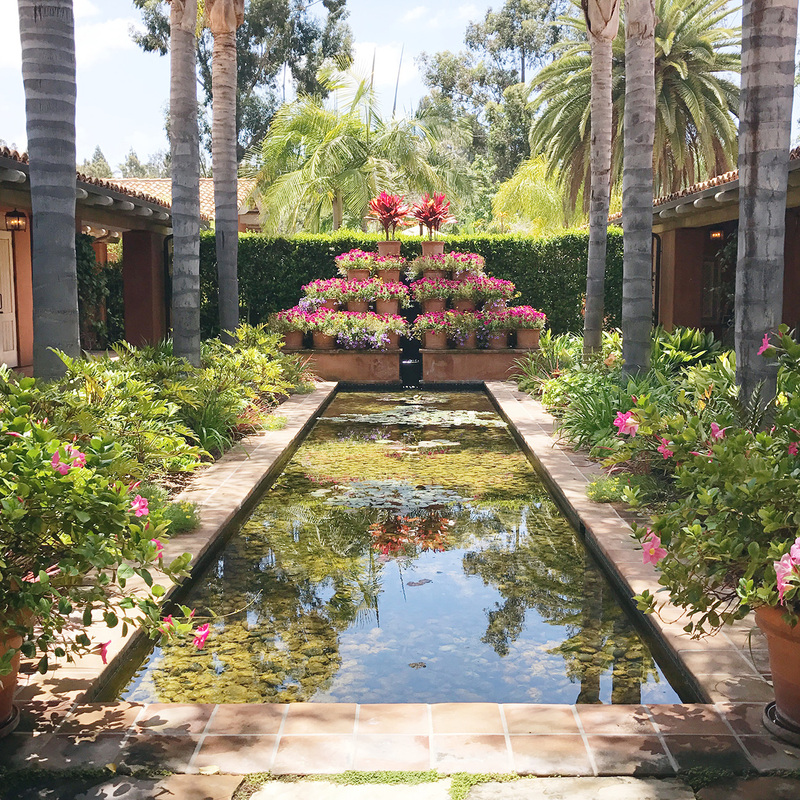 There are also daily yoga + pilates classes and the pool here at the spa is the best pool at the resort, so a day spent just at the spa is PERFECT. And the second reason? The rooms! 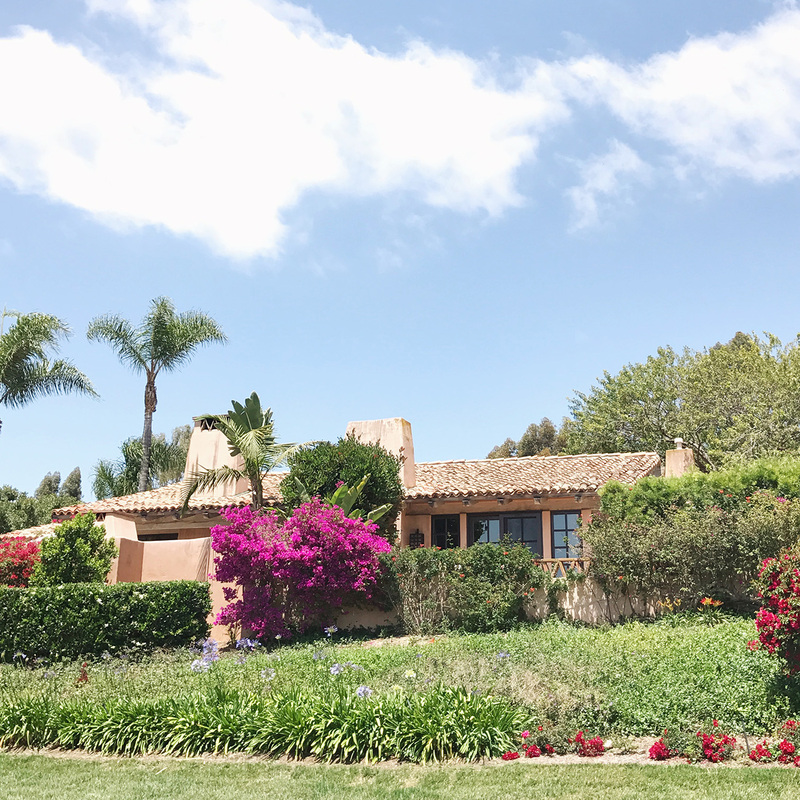 There are 49 authentic, hacienda-style suites – which they call their casitas – and they are the embodiment of sophistication, pampering you with an artful mix of comfort and privacy. 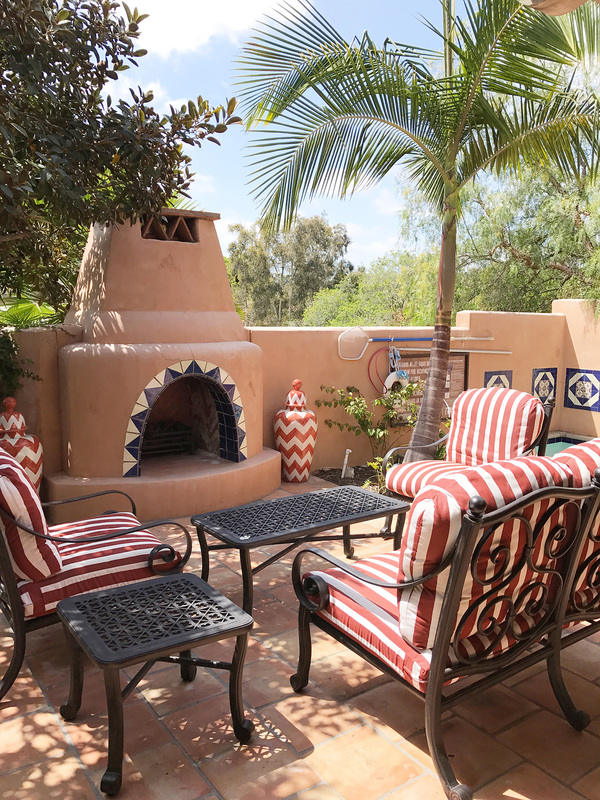 I love that each casita has it’s own private patio – many with fireplaces and hot tubs, which would be so fun for a girls weekend or a romantic getaway! 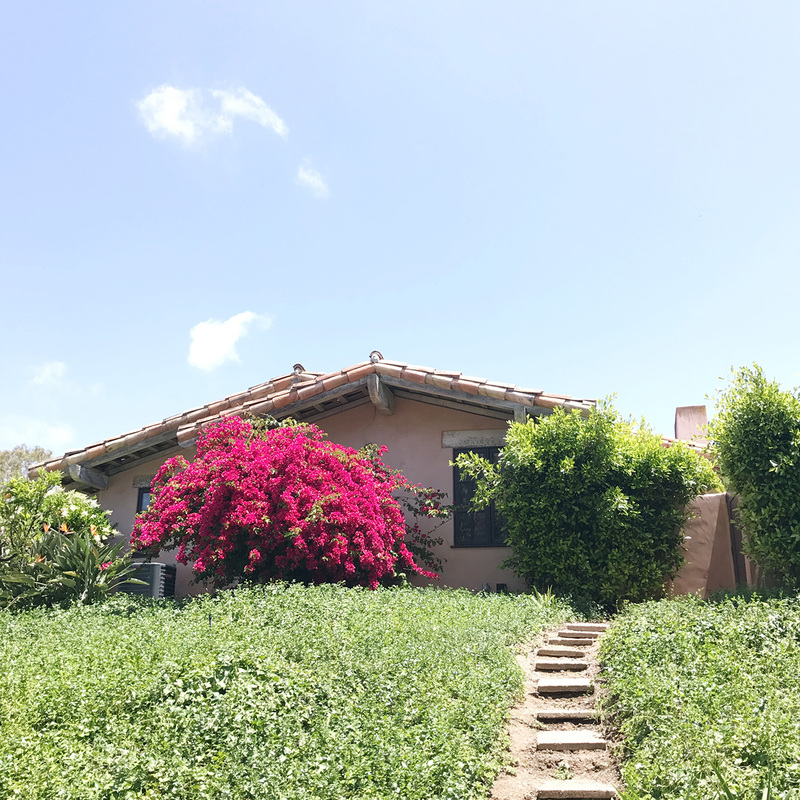 The resort is super remote and removed, so you can just totally relax here, but it’s also close enough to San Diego if you want to escape for a bit for some yummy food or coffee! If you venture out to San Diego, I totally recommend stopping by Communal Coffee for a delicious iced latte – it’s a flower shop AND coffee shop, so it’s super cute. Looking for a quick bite? The fried chicken from Streetcar Merchants was delicious or looking for a fun vibe with great food? Check out Kindred. There is also lots of great food at the resort and we started each morning with some freshly squeezed OJ delivered to our room (one of the perks of staying here! 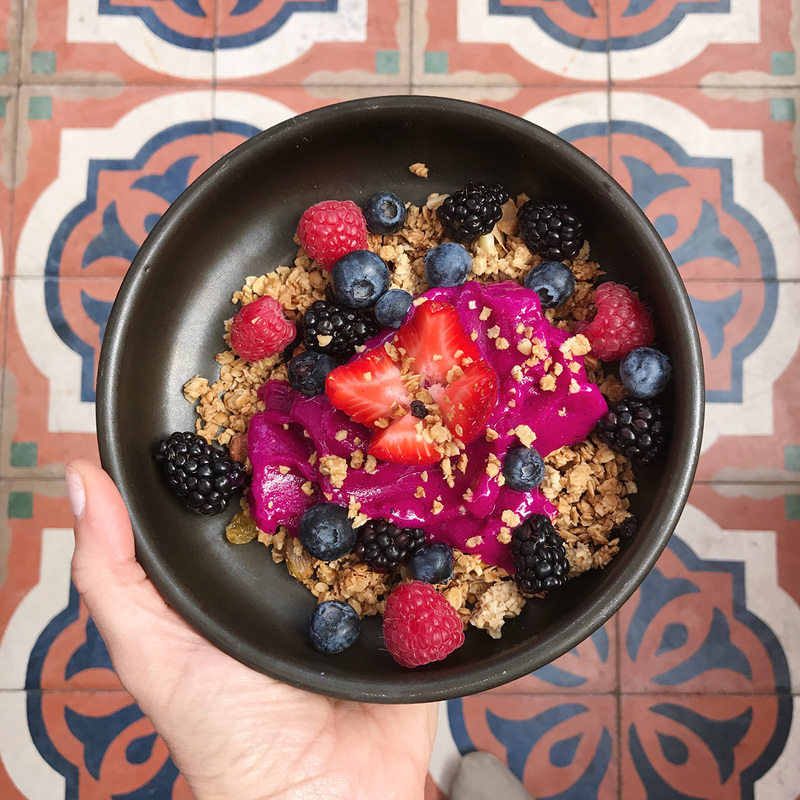 ), then walked to Veladora (on property at Rancho Valencia) for a yummy pitaya bowl and some avocado toast! 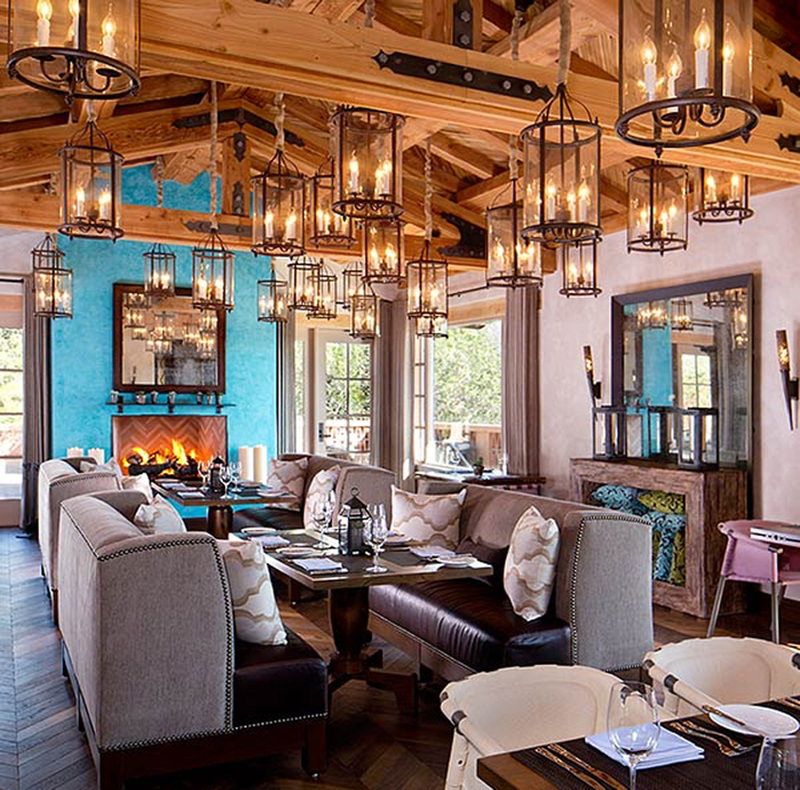 Rancho Valencia also has The Pony Room on property with lots of great cocktails and small bites. I highly recommend the La Piñata — a margarita with charred pineapple mezcal, serrano tequila, cilantro, and lime – yum with a kick! Such a lovely architecture! Mexican style! Nice place! This place looks like heaven. Love the outdoor living space! This Couple Rolled the Dice & Landed on a Joshua Tree Elopement!